Compass Law Group, LLC, provides boutique legal service to clients on Saint Simons Island and throughout the surrounding areas of Georgia. We provide the single point of contact that clients require to successfully navigate through the complexities of the legal system. From charting a strategic course to proactively addressing potential liabilities, we manage the entire process from start to end. We also match each client with the attorney best equipped to handle his or her unique needs, drawing upon our trusted network of legal partners as necessary. Private individuals appreciate the fact that they do not have to locate the right lawyer and vet his or her credentials on their own. Corporate clients value the outsourced general counsel services we provide through our cost-effective, Collaborative Open Architecture model. 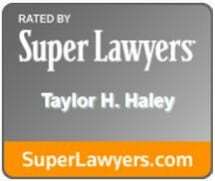 Our firm was founded in 2012 by attorney Taylor Hanson Haley, a former partner at Gilbert Harrell Sumerford & Martin. Prior to joining Compass Law Group, LLC, associate Melissa R. Cruthirds served as assistant city attorney for Brunswick and Nahunta and as assistant prosecuting attorney for Brunswick. She is also past president of the Glynn County Young Lawyer’s Division. Schedule a complimentary consultation about any legal concern by calling our Saint Simons Island office today.